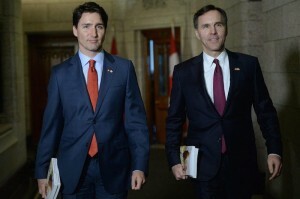 On March 22, 2016, the Federal Minister of Finance, Bill Morneau, presented the federal budget. A number of budget items reinforce the federal government’s position that a competitive economy and environmental protection are linked. We have summarized the key elements of the budget that we believe will help to create a truly sustainable economy. These budget items support growth, reduce environmental impacts and build social capital . In the Speech from the Throne in December, the Government highlighted that they would “make strategic investments in clean technology, provide more support for companies seeking to export those technologies, and lead by example in their use.” Cleantech has frequently been at the intersection of the government’s conversation about the economy and the environment, offering the promise of new jobs and opportunities while supporting climate change goals. The budget reflects this, containing money for research and technology clusters. More than $1 billion over four years to support future clean technology investments, including in the forestry, fisheries, mining, energy and agriculture sectors. Over $130m over five years, starting in 2016-17, to support clean technology research, development and demonstration activities by increasing the funding to (1) Sustainable Development Technology Canada for the SD Tech Funds, and (2) Natural Resources Canada to invest in technologies that will reduce greenhouse gas emissions from the oil and gas sector for clean energy technologies. $4m over two years, starting in 2016-17 to renew the Canadian Technology Accelerator Initiative. $100m per year, starting in 2016-17, to Canada’s six Regional Development Agencies to support clean technology activities. $20m over eight years, starting in 2018-19, to create two additional Canada Excellence Research Chairs in fields related to clean and sustainable technologies. $128.8m over five years to Natural Resources Canada to deliver energy efficiency policies and programs. $19m in tax credits for equipment dedicated to electrical energy storage and electric car charging stations. $62.5m over two years, starting in 2016-17, to Natural Resources Canada to support the deployment for alternative transportation fuels, including charging infrastructure for electric vehicles and natural gas and hydrogen refueling stations. $125m over the next two years to the Federation of Canadian Municipalities to enhance the Green Municipal Fund. Minister McKenna has said that the national target for cutting GHGs set by the Conservatives – a 30 per cent reduction below 2005 levels by the year 2030 – should be considered a floor for future action. The federal government is currently collaborating with the provinces and territories on a pan-Canadian Framework on Clean Growth and Climate Change that will meet or exceed Canada’s targets. $2 billion over two years, starting in 2017–18, to establish the Low Carbon Economy Fund. The Fund will support provincial and territorial actions that materially reduce GHGs and are incremental to current plans. $345.3m over five years to Environment and Climate Change Canada, Health Canada and the National Research Council to take action to address air pollution. $19m over five years, starting in 2016-17, to Indigenous and Northern Affairs Canada to collaborate with researchers and Inuit communities to gather research and knowledge of the Arctic environment to assess potential environmental impacts of future oil and gas activity in the North. $129.5m over five years to seven federal departments and agencies to build the science base to inform decision-making, protect the health and well-being of Canadians, build resilience in the North and Indigenous communities, and make key economic sectors more competitive. $40m over five years, starting in 2016-17, to support integrating climate resilience into revised national building codes by 2020. The budget includes a section on the tax treatment of emission allowance regimes (currently, no specific tax rules exist to deal with these). The budget proposes to introduce specific rules to clarify the tax treatment of emissions allowances and to eliminate the double taxation of certain free allowances. The changes will be applicable to emissions allowances acquired in taxation years beginning after 2016. On an elective basis, it will also apply to emissions allowances acquired in taxation years ending after 2012. This clarity is important for provinces that have moved forward with cap and trade (Quebec, Ontario), and should a national program emerge over time. The 2016 budget marks a critical milestone in Canada’s transition towards a low-carbon economy. It clearly demonstrates the priority this Government has placed on meeting international and domestic climate commitments by backing them up with tangible financing. It also helps to reset the conversation in Canada on the nexus between the environment and the economy – recognizing that the two must be addressed together.